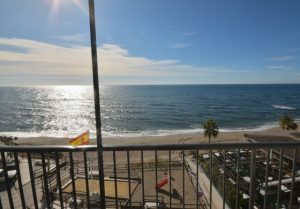 If you are looking at buying a property in Calahonda, this is the place to go. 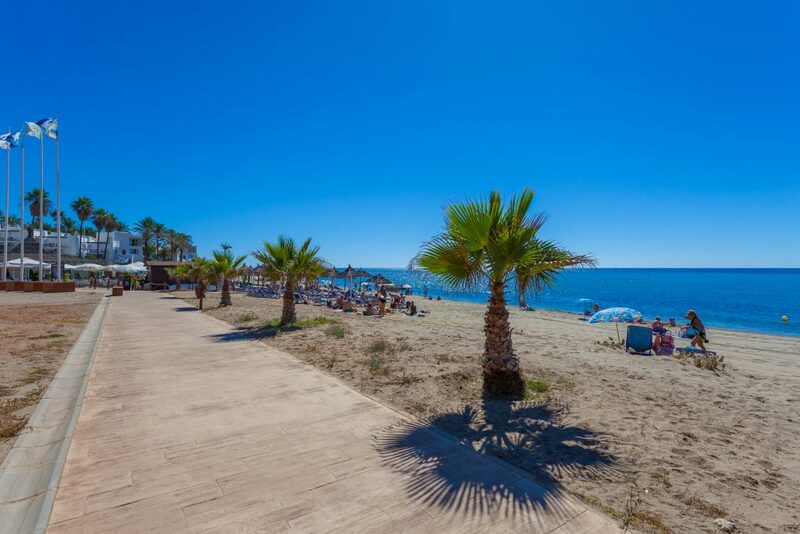 The location in the middle of the Costa del Sol and proximity to everything made us decide to have our base here and Calahonda has always been our specialty. We probably know this area better than anybody else. Calahonda has a mix of villas, townhouses and apartments. 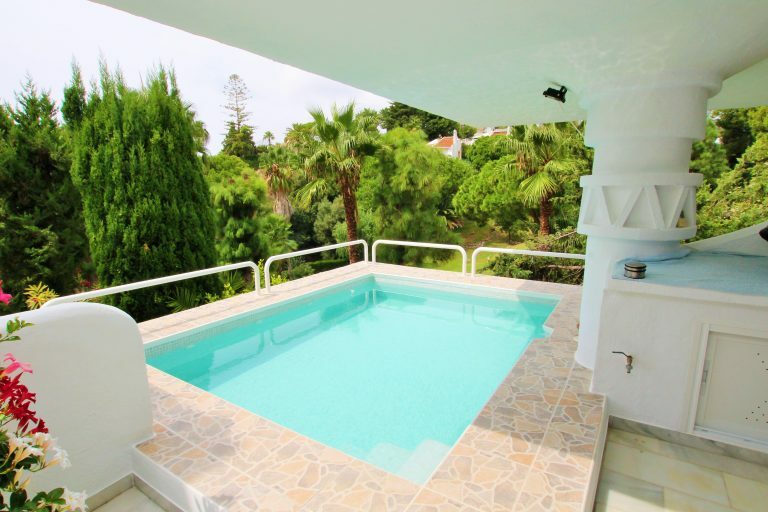 Often the communities and villas in Calahonda offer generous gardens and nearly all of them have a pool. 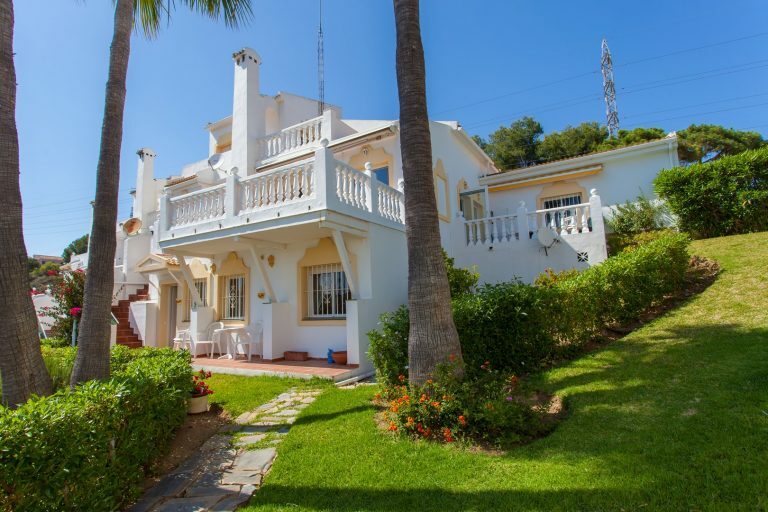 If you are looking to buy property in Calahonda, take a look at the selected properties for sale on this page, or search our large selection of properties for sale in Calahonda. Or why not simply call or email us and we will start looking for you. 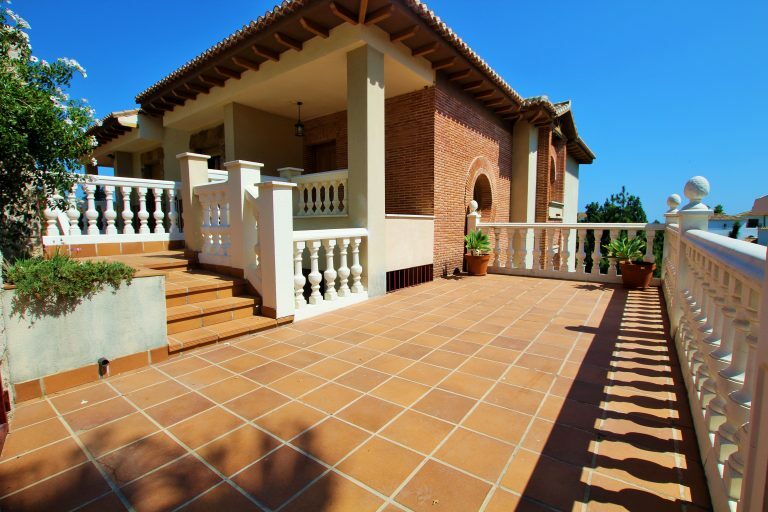 While there are all types of properties here, the villas in Calahonda are a defining feature. In many places on the coast space is scarce, but in Calahonda, many villas come with beautiful gardens and private pools. The surroundings in these areas are also green, making Calahonda a relaxing place to stay. Thanks to geology, Calahonda lies on a hillside, giving many of the properties impressive views over the preserved pine forests in the area and mile wide sea views. On clear days Africa is clearly visible at the horizon. Prices for villas in Calahonda start at around 400 000 € and reach 2 000 000 € and more for the most luxurious ones. Calahonda has apartments of all shapes. Here are seaside studios and apartments as well as luxury penthouses with impressive terraces and astonishing views over the Mediterranean. 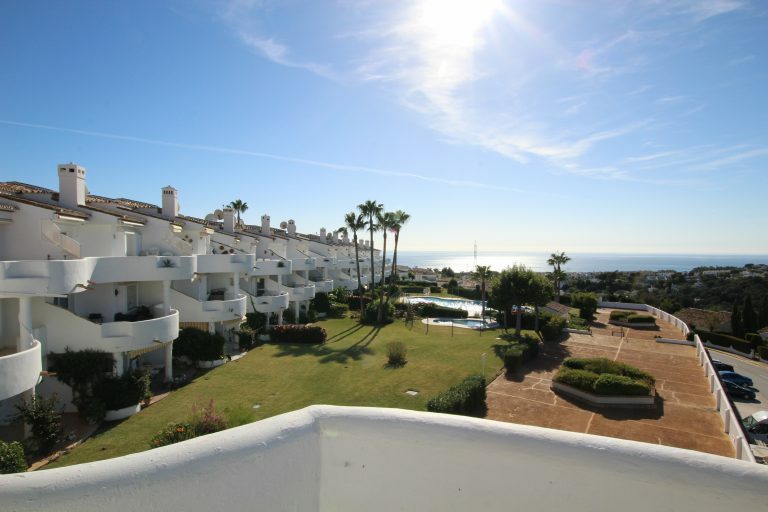 Calahonda was founded in 1963 and has been expanding since then, which means there is a good mix of apartments for sale. You can find older objects in need of renovation at low prices and here are also many newly built or renovated apartments and penthouses for sale. 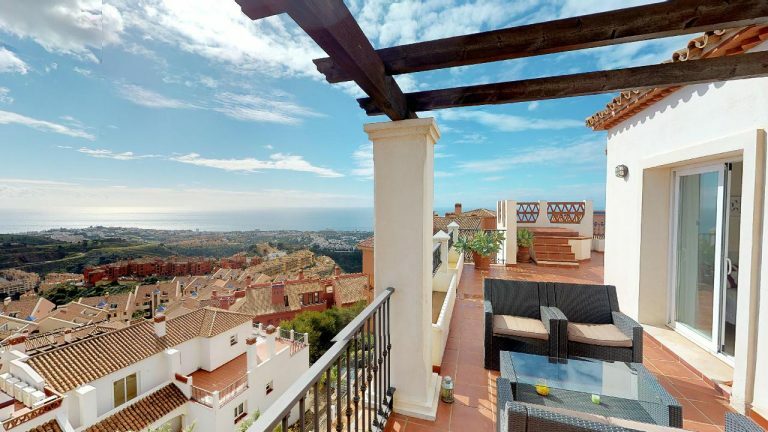 Again, thanks to the location on the hill side, if you are looking to buy an apartment with a view on Costa del Sol, Calahonda is a very good place to start looking. Not just the penthouses but many of the apartments have beautiful sea views. 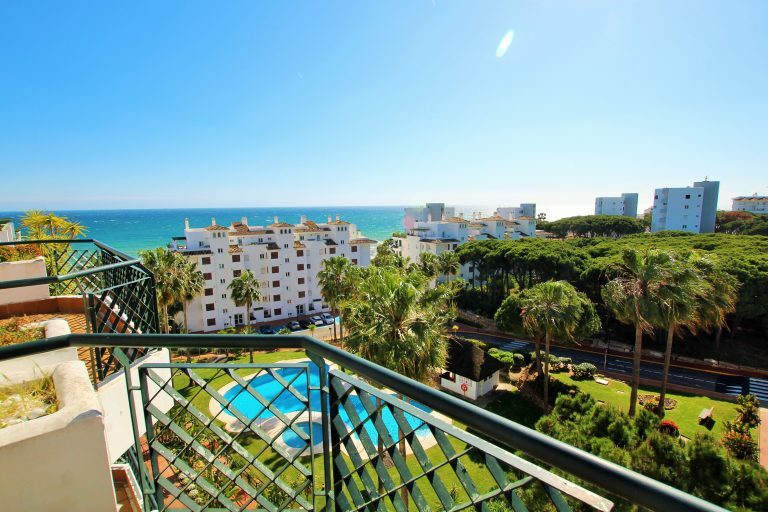 Prices for apartments in Calahonda start at 140 000 € and level out at 300 000 €, although there are some especially spectacular penthouses above that level as well. There are some very cozy communities of townhouses in Calahonda. These have communal gardens and pools and are surrounded by flowers and green. Some townhouses have open views, whereas others face the gardens and/or pool area. 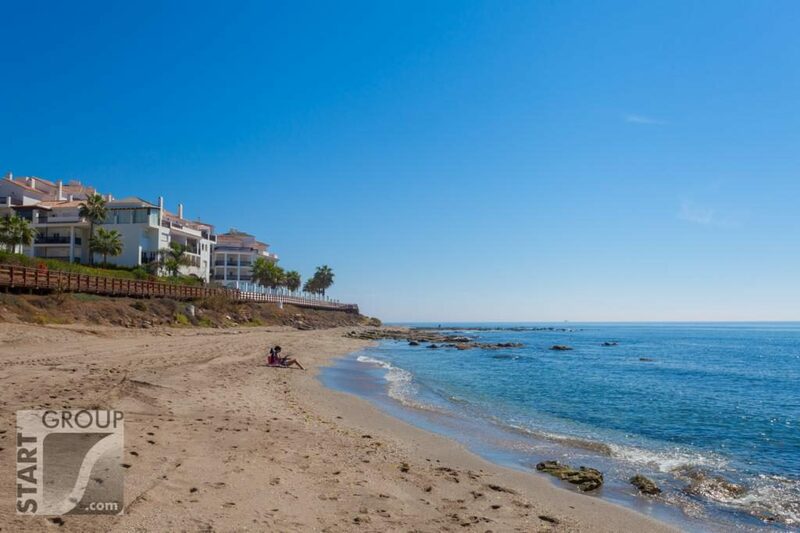 Calahonda is located straight in the middle of Costa del Sol. Most activities and interesting places that the Costa offers are available within a short drive. 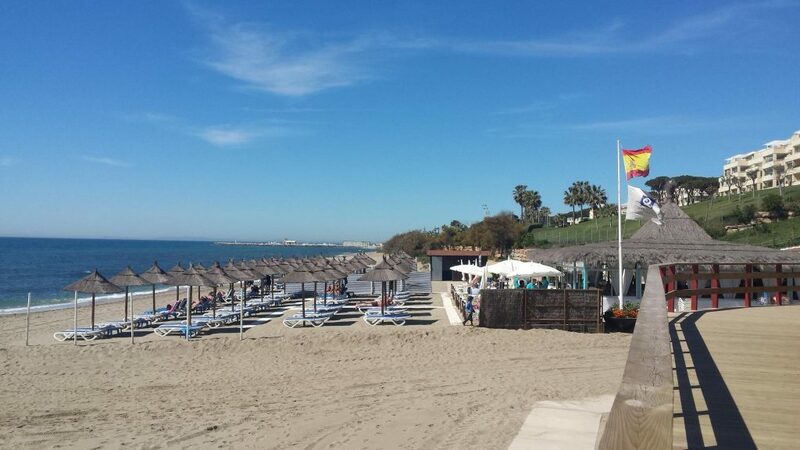 With only 10 minutes in car you reach Fuengirola or Marbella and the airport is only 30 minutes away. Founded in 1963, Calahonda has had time to develop. You will find everything you usually need near your home. There are five small shopping centra, around 60 restaurants and bars, bakeries, grocery stores, butchers, banks, post offices, TV and computer repairs, hardware stores and more in the area. To the delight of many inhabitants, there are no mega-hotels or discoteques here. Since Calahonda is run as a macro-urbanisation (entidad urbanistica) you can be guaranteed a higher level of maintenance of gardens, parks, roads street lighting etc than on most other areas on the coast. 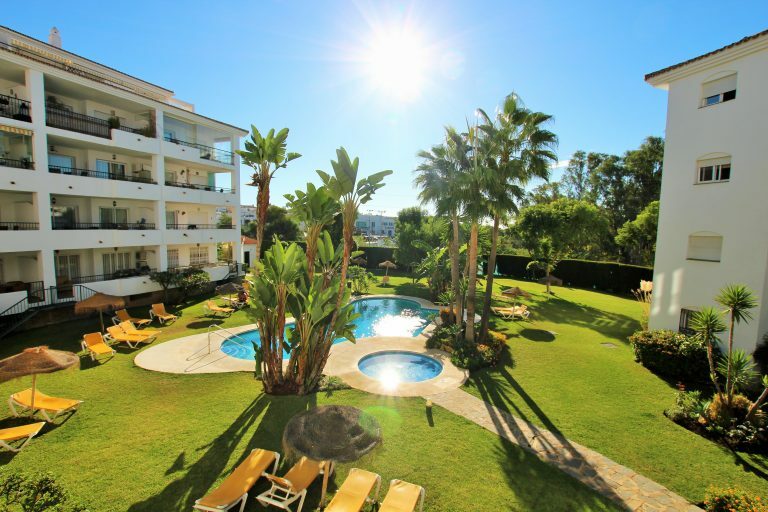 Calahonda has their own employees for gardening and maintenance as well as a professional management team. There is also 24 hours security in the urbanisation. To the east, Calahonda borders with Riviera del Sol. That is a fairly similar area that was established in the eighties. Westward we find Cabopino. Cabopino has a wonderful golf course and a small marina with great restaurants. Nearby is also a nature reserve with untouched sand dunes by the Mediterranean. Calahonda has got some beautiful beaches. Especially Luna Beach and Royal Beach have gained popularity as more people find their way to these quiet and natural beaches. In 2014 the town hall started building a wonderful beach promenade that spans from La Cala de Mijas to Calahonda, totalling over 7 kilometres. This has been very welcomed among residents and tourists alike. You can now easily access parts of the coastline that was previously hard to get to. The stretch of coast between el Faro to Calahonda is classified as a marine protection area with abundance of fish and sea life. There are species from both the Mediterranean and Atlantic living here in a mix not found anywhere else. If you snorkel among the natural lava cliffs you will see shoals of fish, octopus, hermit crabs, and – if you are lucky – the occasional dolphin. 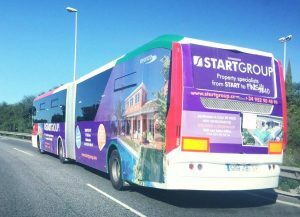 There buses to Marbella and Fuengirola passes every 30 minutes. From the airport there is a train to Fuengirola and there after a change to the bus. There are three taxi ranks in Calahonda; one by the BBVA bank next to the bus stop at the beginning of Avenida de España, one by the Mercadona supermarket on Calle Merida de Jarales, and one by the Miel y Nata Restaurant at the higher part of Calle Jose Orbaneja. It is also easy to call and order a taxi from Taxi Mijas on 952476593. 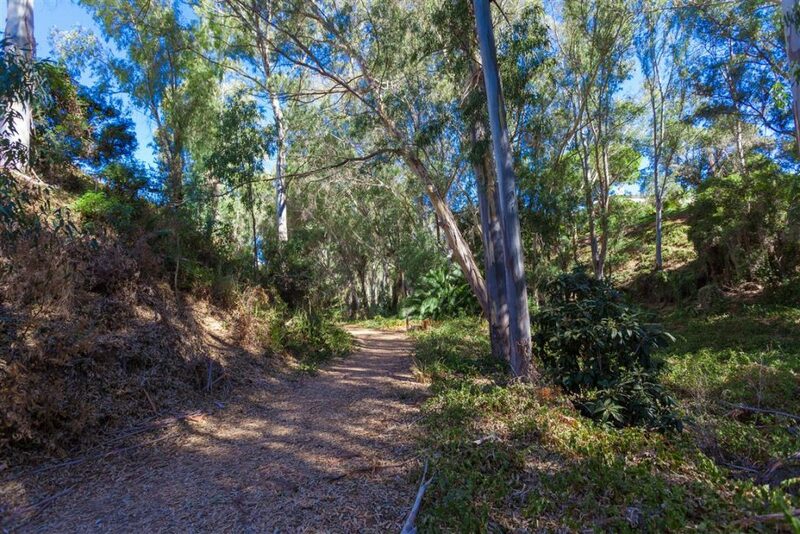 Sitio de Calahonda spreads over 300 hectares from the Mediterranean and 3 kilometres up the hill to almost 300 metres above sea level where you can visit the shrine “La Ermita de Calahonda” with its breathtaking views. 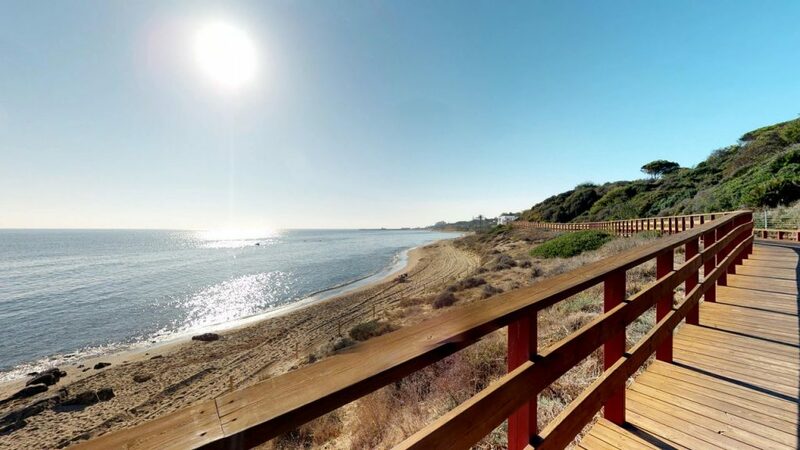 The fact of elevation also means that a lot of the properties here enjoy spectacular views of the sea, the Spanish coastline, Gibraltar and all the way to the mainland of Africa. 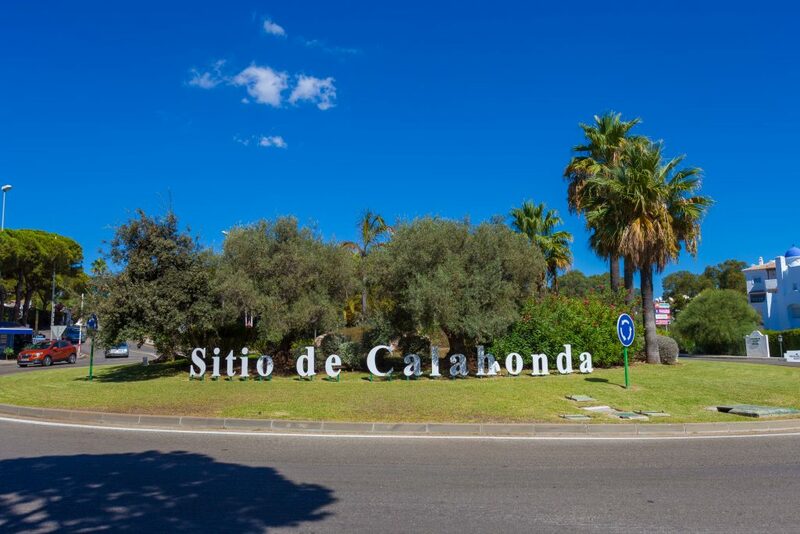 Every year in early June Calahonda celebrates “El dia de Calahonda” “The Calahonda Day” in the big park “Parque Vivero” and all the residents and guests are welcomed to participate. This has proven very successful as it is a retreat for the residents and a favourite destination for the residential tourist. The “residential tourist” typically either owns or rents a property and visits several times a year. Los Olivos and Bar el Zoco, under the same management both these lunch restaurants are very popular among the residents and tourists alike. A typical Spanish tapas menu as well as a la carte. Nice sunny terraces and friendly staff. You will find one in the Los Olivos Shopping Centre and the other one in the El Zoco Shopping centre, close to the StartGroup Office. No reservations. There are four commercial centres and two commercial areas in Calahonda. The main centre is called “El Zoco” and is located at the east end of Calahonda. In here you will find the office of Start Group Real Estate, the post office, pharmacy, supermarket, Banco Popular, hairdressers, Abad lawyers, some shops and about a dozen restaurants. On the upper level there is a very nice square with eight restaurants that open for dinner. Among them we can mention “El Olivo”, “La Mandragora” and “Fondue Lounge”. In the summer big awnings in the form of sails are hung up as to ensure the guest a nice al fresco dining experience. At El Zoco you can chose between Spanish tapas, Argentinian Steaks, Chinese, Italian, modern fusion, fondue and fish & chips. Close to El Zoco you will find the “Centro Comercial Los Olivos”, at the beginning of the connection road to the AP7 highway. The Los Olivos centre offers a big Supersol supermarket with a fresh fish counter, Para-pharmacy, Scandinavian hairdresser, hand car-wash and the Los Olivos restaurant. The office for the water company and Internet Service Provider Wikiker are also located here. 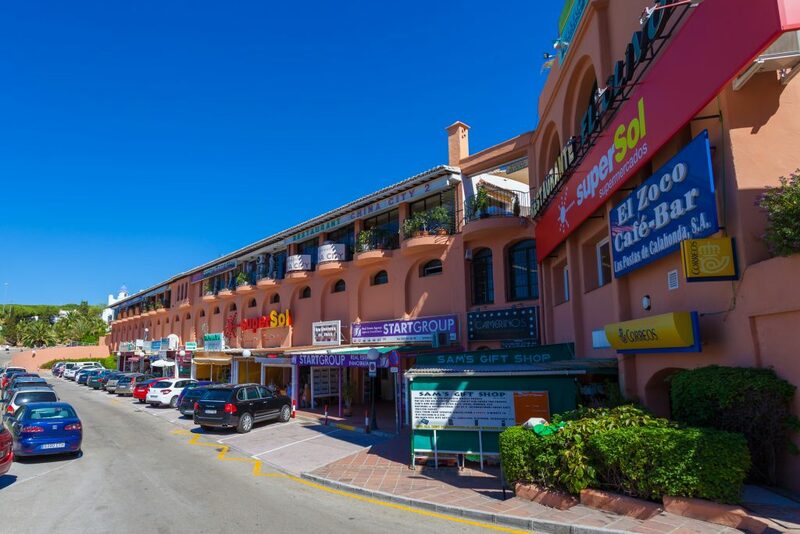 Following the A7 road towards Marbella you will pass by the “Centro Comercial Calahonda” that hosts the supermarket Mercadona, PC TV Solutions (repairs), the Irish butcher, Beds of Sweden, a Party shop and the Espresso bar, to name a few. On the west side of Calahonda is the “Centro Comercial Los Cipreses” that hosts a bakery, supermarket, Banco Sabadell, restaurants, pharmacy, hairdressers, LIDL, and Mata lawyers and accountants. On the Avenida de España which is the main street of Calahonda there is an area with many restaurants, commonly known as “the Strip”. There is a wide choice here which includes, Spanish tapas, Chinese, Indian, Mexican, Italian, Japanese teppanyaki, fish and chips, noodle bar as well as the ever present Irish Pub “The Harp” where you can meet to watch some sports or play a game of pool. The Doña Lola complex also have a few restaurants to offer, a popular one is the Italian “Da Vinci” which is well known for its stone oven pizzas. There are also an Indian restaurant, an Argentinian Steak house and Mediterranean and Thai restaurants. In Calahonda you will find three big gyms, the Alhamar Gym, Club del Sol and the Doña Lola Gym with its indoor heated pool. The Club del Sol is one of the biggest tennis clubs on the coast and offers not only tennis and gym but also paddle tennis, squash and a restaurant. You can rent a tennis court for an hour, get classes or participate in one of the many events they organize. 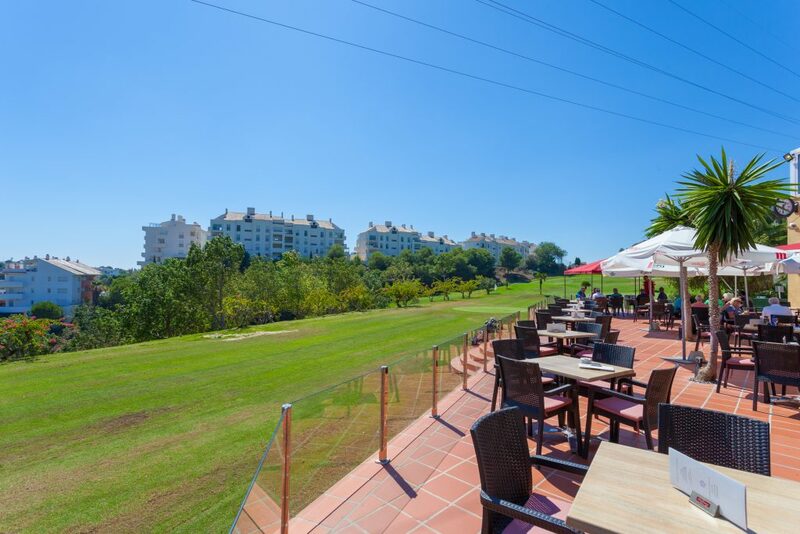 Calahonda is one of the most convenient locations for a golfer. Just consider the number of golf courses within 10 minutes drive. The local golf course is called La Siesta Golf and is a 9 hole course. It is very pretty and the clubhouse has a nice restaurant with a lovely sunny terrace and fabulous views. 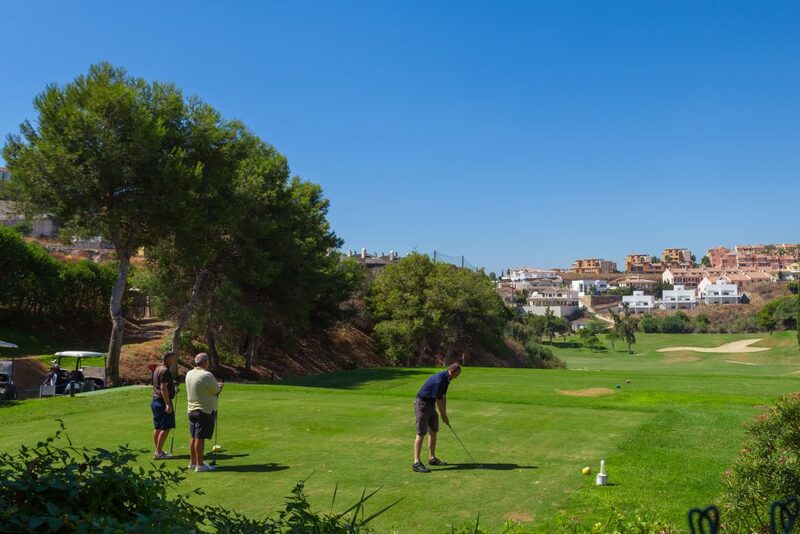 Bordering to Calahonda you will also find the golf course of Cabopino and within a 10 minutes drive you can reach Miraflores Golf, La Noria Golf, El Chaparral, La Cala golf Resort, Mijas Golf, and Santa Maria Golf. 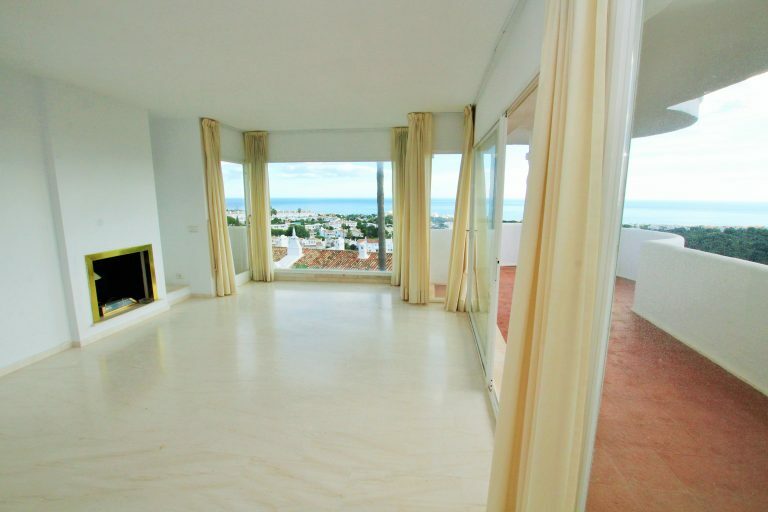 A bright and spacious three bedroom apartment with sea views!